Today’s hop features Stampin' Up! products used to celebrate Happy Birthdays. With have 3 current publications so we have lots of product options to share with you! Birthdays are for shiny happy wishes! I knew I wanted to use one of the prints from the Picture Perfect Party 6"x6" Designer Series Paper. I had the hardest time choosing one! I gave up and left them all spread out all over the table along with some Happy Birthdays cut from multiple colors of cardstock using the Happy Birthday thinlit. Which one of these designs would YOU choose? Ahhh! So many choices & beautiful color combinations! I LOVE this paper! When I came back to my table to try again, the Berry Burst words were laying near this dotted print. I put aside all the other pretty prints and went with it! 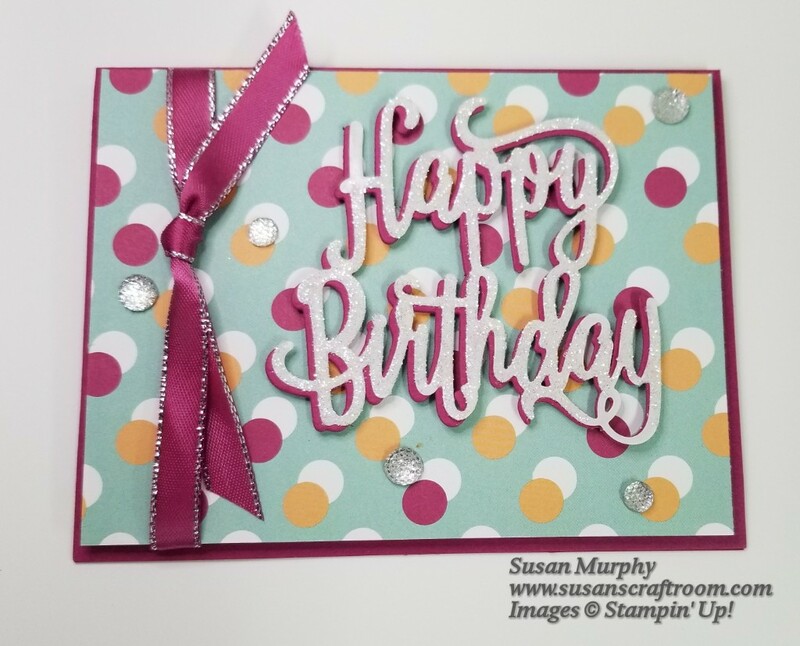 I knew I wanted to add some sparkle to the card so the rest came together easily. Below is a close up of all the sparkle! It isn't glimmer paper. 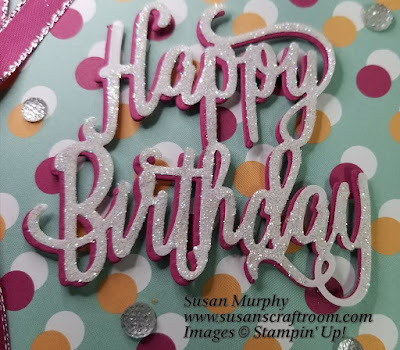 To make the shimmery Happy Birthday, use the Adhesive Paper to cut out the words! Be sure that the adhesive side will be on the top. Peel off the backing paper and cover it with Dazzling Diamonds glitter. Rub your finger over it to burnish the glitter into the adhesive paper. Shake off the excess and you're done! VERY LITTLE of the glitter comes off the paper. Now you can make "glimmer paper" with any color using super fine glitter! Thank you for hopping us. 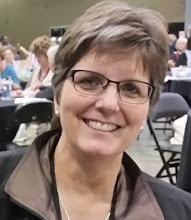 Please click below to hop to Ginger Rabesa's blog. She has lots of inspiration to share with you today! If you don't already have a Stampin' Up! demonstrator, I would be happy to have you join my Coastal Stampede Crafters team. You can contact me at my email listed in the right side bar to get information on how you can get a discount on every Stampin' Up! product you purchase! This paper pack is so much fun! Layering the Happy Birthday die is an great idea! 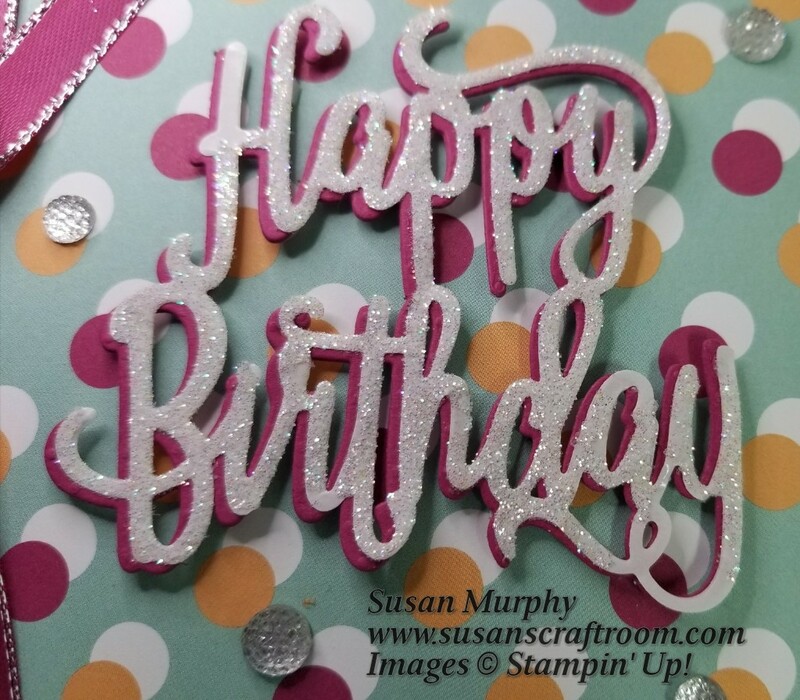 Love the blingy-ness of your card! I'm also in love with the Picture Perfect Party DSP--all the designs are fabulous. Thank you for sharing! Such a happy card. Love the use of the DSP. 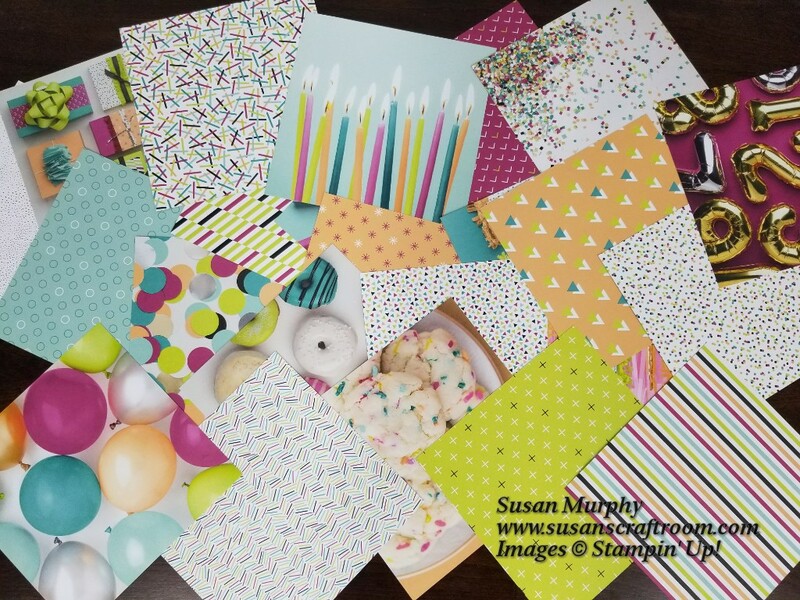 I love the photo showing all the patterns in the paper pack. Nice card! Looks like the Happy Birthday Thinlit Die is the favorite for our Blog Hop. Such a cool card! !